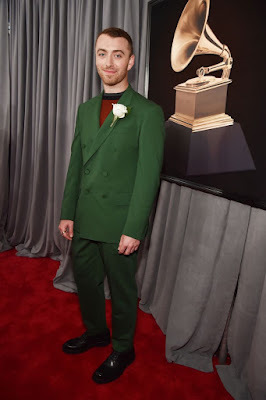 The music stars of the world brought some of the most daring and gorgeous looks to the annual Grammy Awards held in New York. Injected with political protest, the night saw performers including Kesha, Lady Gaga, Rita Ora and Miley Cyrus carried and wore white roses to support the Time's Up movement. Inspired by the women at the Golden Globes, speeches and performances could be seen throughout the night in honour of the campaign. 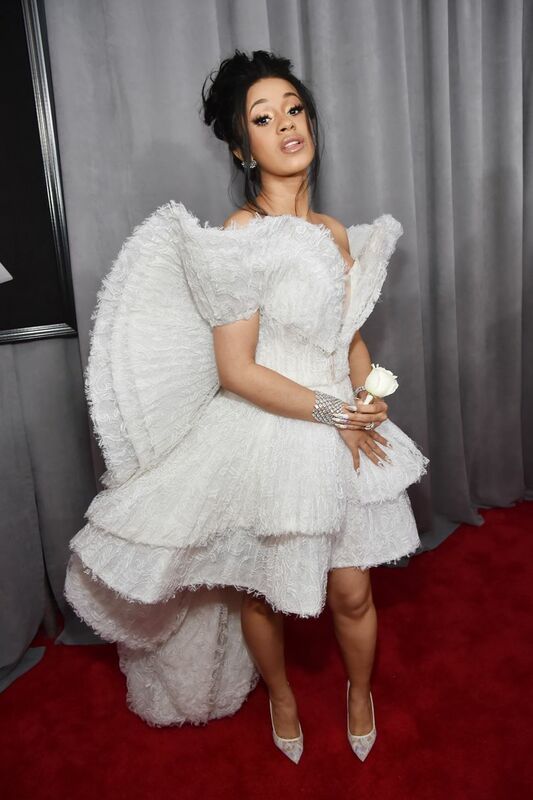 Though music icons such as Rihanna and Beyonce missed the red carpet show, Cardi B and SZA all took the opportunity to pose some of their couture favourites. Lady Gaga was one of the first celebrities to make her mark in a dramatic black outfit with a huge trailing black skirt and lots of lace. She wore the show-stopping outfit with sky high black lace-up heels, and echoing stars wearing black to the Golden Globe, Gaga honoured the Time's Up and Me Too movements with a single white rose pinned to her outfit. 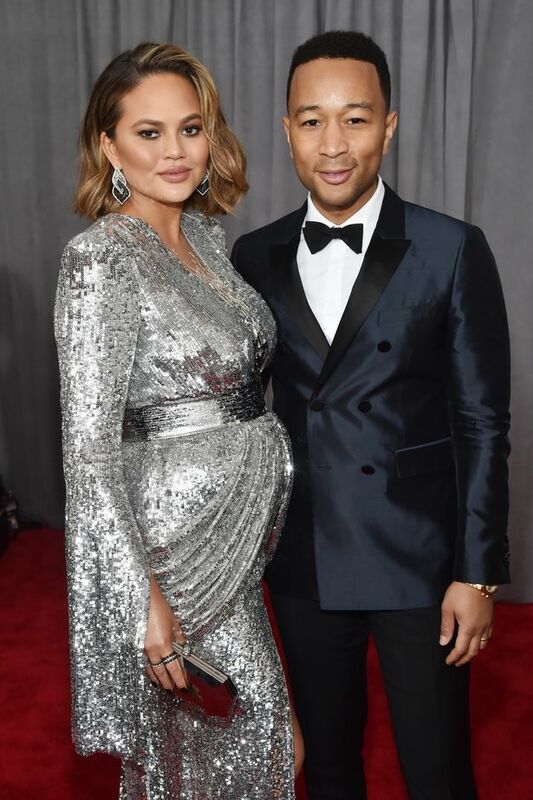 Chrissy Teigan, who accompanied husband John Legend, looked regal in her silvery sequinned dress. Pregnant and glowing, Chrissy supported John throughout the night and overall the pair looked like the ideal couple on a red carpet. Lana Del Rey wowed in her silky cream thigh-split Gucci dress, adorned with sparkling embellishments around the neckline skirt. Pitch Perfect star and singer, Hailee Steinfeld kept her look fresh and crisp in a strapless white dress and clean blue eyeshadow, whilst brightening up the look with purple metallic boots. Actress Anna Kendrick opted for a pair of smart high-waisted trousers and a matching blazer. She looked powerful yet stylish and we loooooove it. Whilst Rita Ora was oozing sophistication in her extreme black velvet frock by Ralph and Russo. 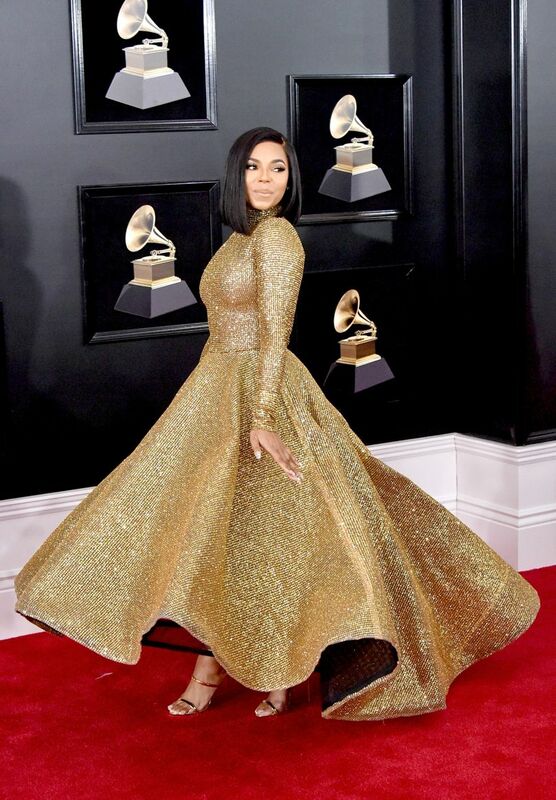 Ashanti is a glowing desert goddess (yup) in this Yas Couture piece. The rich sparkling fabric compliments her sleek choppy hair - a gorgeous outfit. Miley Cyrus is couture Jean Paul Gaultier. Recently known for her avant garde looks, Miley toned it down and focuse don supporting the Time's Up movement by wearing all black to highlight her white rose. Janelle Monroe in Dolce and Gabbana. 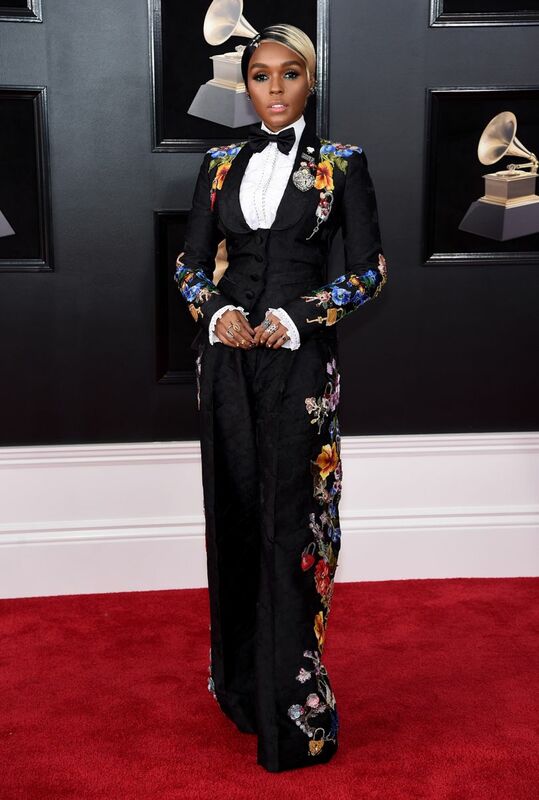 Praised for her moving speech regarding the Time's Up campaign - Janelle held the attention of the red carpet in this stunning three-piece suit and little bow tie. Cardi B in Ashi Studio. This bold couture piece matched Cardi's utter confidence and sass when performing her version of Finesse with Bruno Mars. Sam Smith in Cerruti. One of my favourite performances of the night, Sam Smith's Pray was a true show stopped, and yes, I loved the lab coat he wore when performing. An awards night just wouldn't be complete with chart-topping singer Camilla Cabello. Her bold Vivienne Westwood dress is sleek and pretty. A surprise guest to some, Zayn looked clean and calm in this blush-pink suit by Richard James. 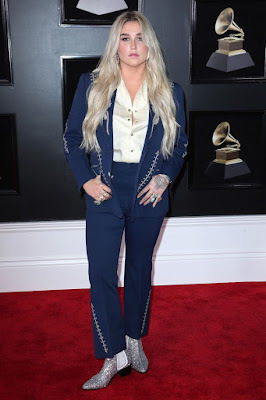 Kesha's performance was the highlight of the evening, she brought together so many incredible women from Andrea Day to Camilla Cabello to perform with her, her song Praying. A political message and a heart-wrenching performance. We applaud you Kesha. SZA in angelic Versace. Nominated for two awards, SZA floated like an angel across the carpet in this delicate, fragile frock.